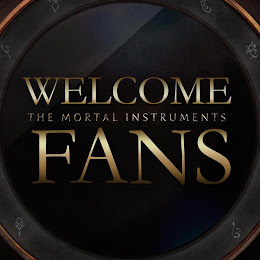 MORTAL INSTRUMENTS series has an incredibly loyal and ardent fan base and is a bestselling book series. While taking Cassandra Claire’s vision to the screen we want to make sure to draw on the full potential of the franchise. Isn't Martin Moskowicz and the whole team the best? I guess we'll just have to wait a bit longer, but I'm sure a better movie will be worth the wait. 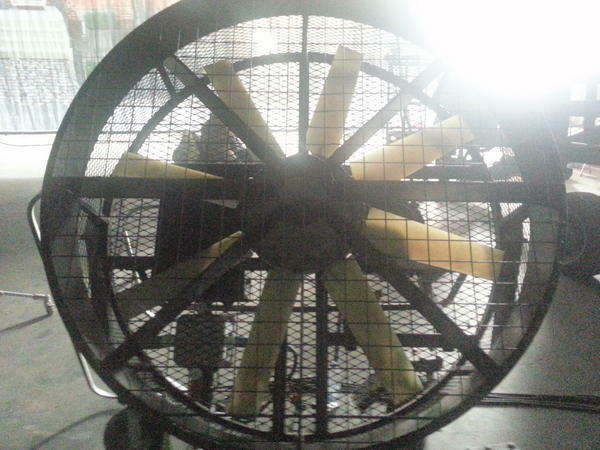 I have the utmost respect for the #tmi fandom. we want to make CoA right. we will make good use of the time. #WeNeedCityOfAshes it is great how you make yourselfs heard. Despite the soft U.S. start, Moszkowicz said the reaction from the book's fan base has been "very positive." And he said that Constantin is proceeding with plans to begin shooting a sequel, Mortal Instruments: City of Ashes, in Toronto this fall. Moszkowicz said it was still too early to make a prognosis forMortal Instrument's global box office revenue. But Constantin has proven before that it can successfully use international markets to recoup a shortfall in the U.S. Paul WS Anderson's The Three Musketeers (2011), a Constantin production, earned a disappointing $20 million in its U.S. release through Summit Entertainment, but went on to gross some $150 million worldwide. Martin Moszkowicz, head of film and TV at Constantin and an executive producer on Mortal Instruments, blamed the weak early U.S. figures on "a strongly competitive environment," which included a pair of similarly-skewing genre pics in Lionsgate's horror movie You're Next and Edgar Wright's sci-fi action-comedy The World's End. He also cited strong holdovers The Butler and We're the Millers. 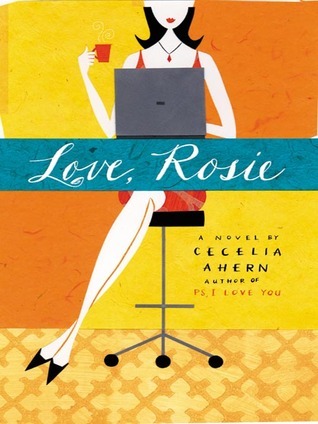 Sony's Screen Gems picked up the film for the U.S. US already has an official date for The Mortal Instruments: City of Bones movie release. They recently changed the date from August 23 to August 21. Now, many of the international Shadowhunters are wondering if the release date for their country will be bumped up. 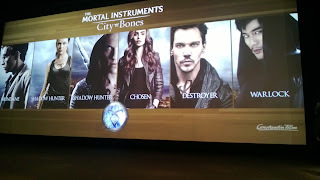 Hopefully, Marting Moskowicz, the executive producer, can change the dates slightly so we can all see City of Bones earlier. 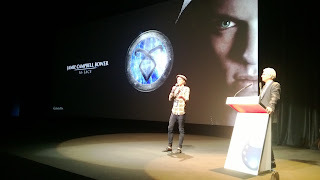 Jamie Campbell Bower recently went to a fan event for The Mortal Instruments: City of Bones in Barcelona. Turns out, while he is in Barcelona, he is also presenting certain scenes of the movie with the executive producer, Martin Moskowicz. looking forward to see @Jamiebower present selected scenes of #tmi to Exhibitors this morning in Barcelona. They are promoting City of Bones more and more, can you believe there is less than 2 months before this movie comes out? 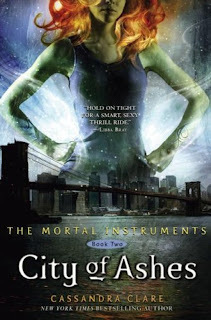 The US date for The Mortal Instruments: City of Bones release has been moved from August, 23 to August, 21. Martin Moskowicz tells us they are working on the international release dates. 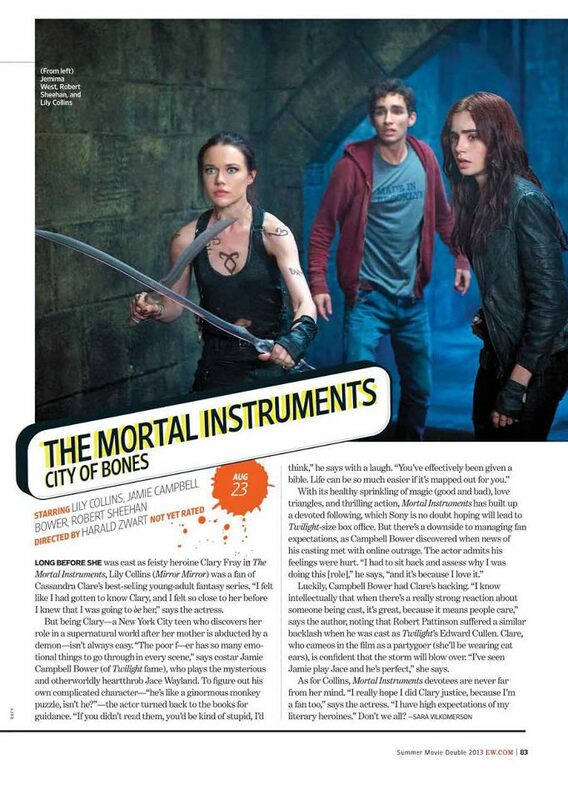 Hopefully, everyone will get to see City of Bones bit earlier, more details coming in July! We are working on the plans for the worlwide rollout for City of Bones and should know more details in July. According to Martin Moskowicz, The Mortal Instruments: City of Ashes has been sold at the Cannes festival. 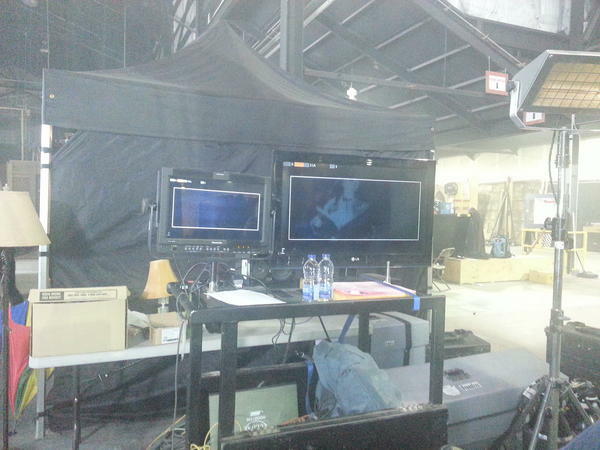 The movie is set to release in 2014. 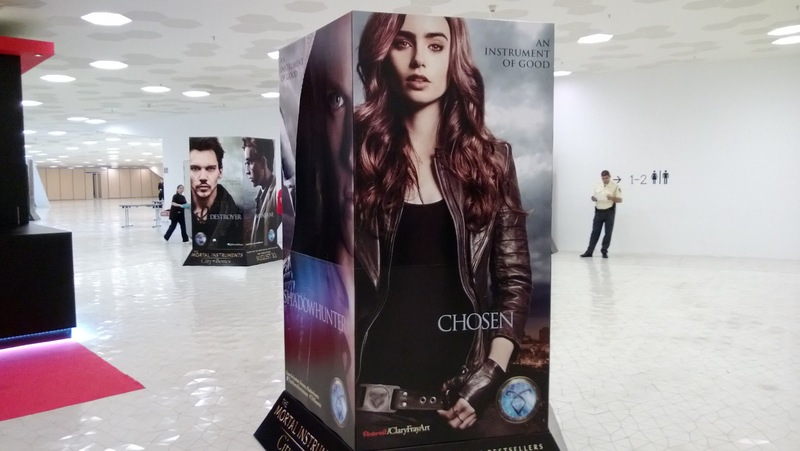 We've spotted The Mortal Instruments: City of Bones being distributed before movies like Beautiful Creatures, The Host, etc. According to Martin Moskowicz, these preview books are going international! They've printed 300 thousand City of Bones books containing the first 40 pages. 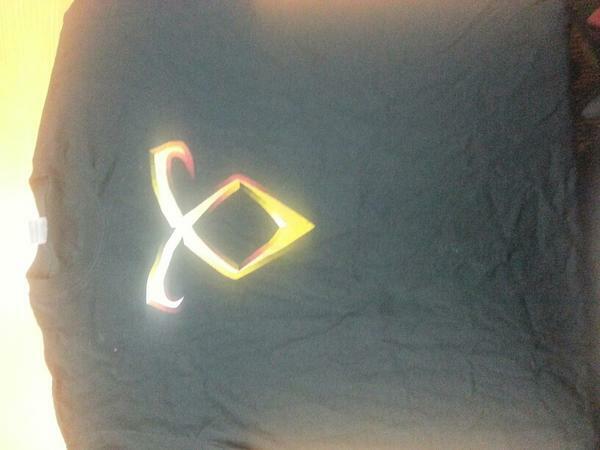 @cassieclare hi cassie - we are printing 300.000 CoB books (first 40 pages) in Germany for distribution in cinemas. The executive producer of The Mortal Instruments: City of Bones, Martin Moszkowicz recently tweeted that there may be a possibility for another trailer! WHEN: Sunday, April 7th at 12:35am PST *Please check your local listings for different airing times. 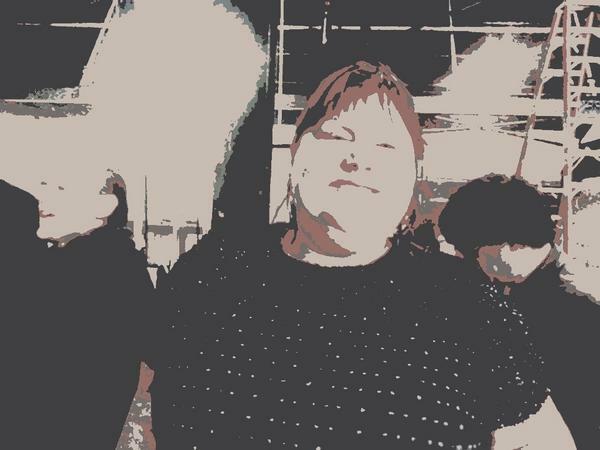 "Cassandra Clare at the Set of TMI." "Present from our stunt team"